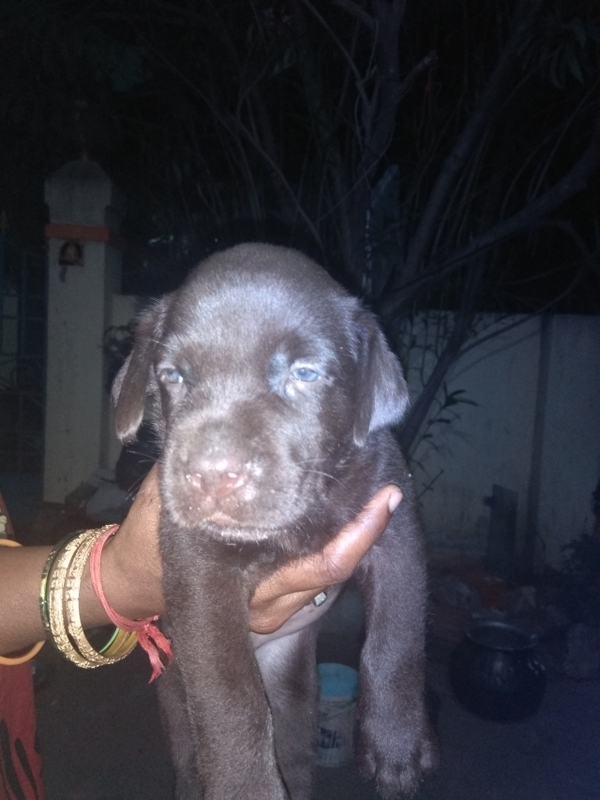 Our show quality Labrador retriever female puppy in Fawn colour for sale. puppy is very healthy, Heavy size, Punch head. 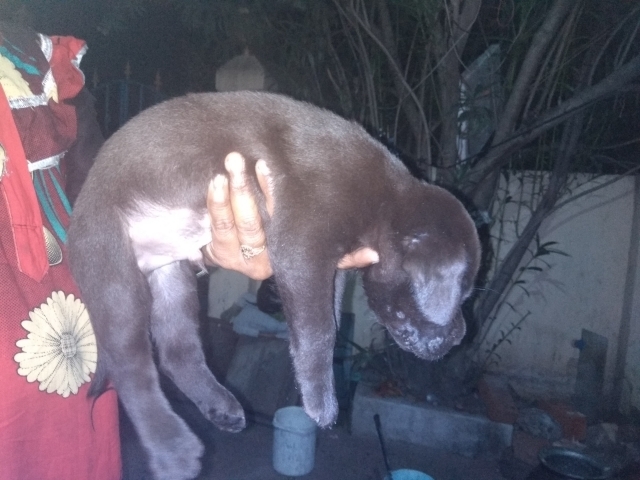 our good quality puppy in very reasonable price. interested people call me. The Labrador Retriever (also known as the 'Labrador' or 'Lab') descends from the Newfoundland Dog and the St. John's Water Dog in Newfoundland, Canada. It was bred to hunt in water and pull boats, which is evident to this day in its natural love for water. Contrary to popular opinion, the Labrador Retriever's name likely derives from the Portuguese 'lavradores' or Spanish 'labradores', both of which mean 'farm worker', rather than the 'Labrador' region of Canada. The Labrador Retriever was recognized by the American Kennel Club in 1917 and thereafter rose slowly but steadily in popularity due to its incredible versatility, obedience, and rugged good looks. It is now considered the world's most popular breed. The Labrador Retriever has been the most registered dog in America and England since 1991; the American Kennel Club had almost three times as many Labrador Retriever registrations in 2006 (124,000) as the second most popular breed. Famous Labrador Retrievers include the title character from the film version of 'Old Yeller' (though the book version was a Mountain Cur), Marley, from the bestselling memoir 'Marley and Me', and Tawny, a yellow Lab who gave birth to 18 puppies with her first litter in 1999 and was named the 'Iams Mother of the Year'. The Labrador Retriever has a shoulder height of 53-64 cm (21-25 in) and weighs 25-36 kg (55-80 lbs). It has emotional brown or hazel eyes, a large nose, moderate stop (point at which the muzzle meets the forehead) and straight, thick tail similar in appearance to an Otter's. Although not classified separately, the English and American lines have separate lineage. 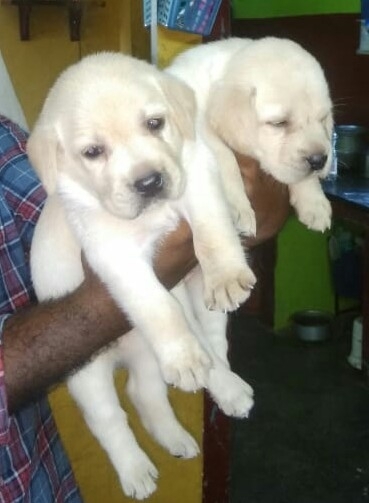 English Labradors (sometimes described as the 'show' line) have smaller, shorter bodies and a fuller face, and American Labradors (sometimes called the 'working' line) have a larger body and more boisterous personality. 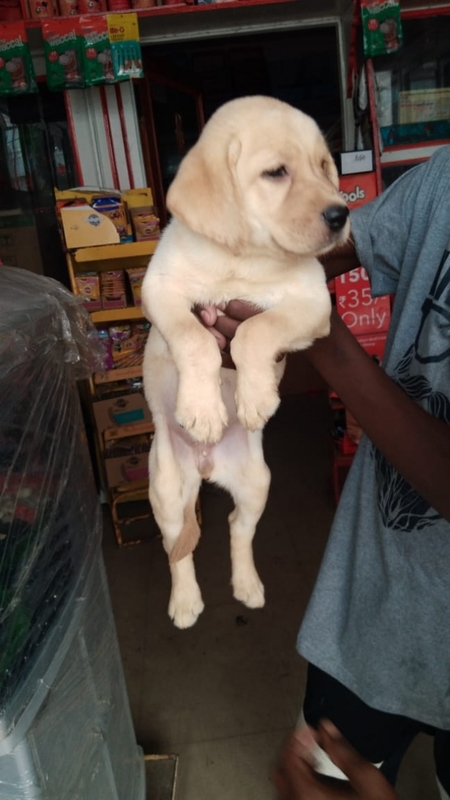 The Labrador Retriever has a short, thick, dense, weather-resistant coat which can be black, yellow (varying from cream to gold or almost red) or chocolate brown. There is also a rare silver variety which some think to be the result of a Weimeraner cross. A small white marking on the chest is permissible. It is possible for all colors of Labrador Retriever to appear in the same litter. The Labrador Retriever is unusually adaptable, obedient, and kind-hearted. No wonder it's so popular! Labs are sociable, affectionate, and loyal. They have a very keen sense of smell. Most Labrador Retrievers are athletic; puppies are particularly active. The Labrador Retriever has a mellow personality and gets along well with children, other dogs, and any household pets. Some Labrador Retrievers may chew, but they can be trained not to. Labradors do not make great watchdogs because they are friendly with strangers and are not territorial. The Labrador Retriever must be brushed once a week, twice when shedding. Like other large breeds, it is susceptible to hip dysplasia and elbow dysplasia. Some Labs are prone to PRA (an eye disorder) or ear infections. Ever the food connoisseurs, Labradors are prone to obesity, so don't let their charming personality connive you out of maintaining a healthy diet for them. Labrador Retrievers have a lifespan of 10-12 years. They can live outdoors in warm weather, but prefer indoor life with the family. Their high intelligence makes them adept at staging elaborate escapes, so proper precautions should be taken. The Labrador Retriever learns very quickly and loves to work for its handler. Leash training is recommended when young. The Labrador Retriever is capable of learning a wide variety of dog sports including Frisbee and Flyball. Labrador Retrievers need plenty of exercise. They enjoy long walks and are especially fond of field sports, fetch, and water games.